Outside of the Breadbox: Recipe: Chocolate Cookie "Oreos"
Long before working as a Pastry Cook in New York... even long before enrolling in Culinary School... my mother-in-law gave me a copy of "Flour" by Joanne Chang. Somewhat ironically, Chef Joanne is an Economics graduate from Harvard turned Pastry Chef. Who would have guessed that several years later I would similarly wave goodbye to my Ivy League Economics degree for something much more satisfying... and caloric? One of the first goodies I tried from the book was a recipe for Homemade Oreos. I loved the idea of being able to make these familiar treats for myself. And while the Cookies may not bear that signature "Oreo" seal, they are packed with that unmistakable taste of dark chocolate nostalgia. So earlier this week, when I was thinking of the base cookie to use for my take on a Schokokuss - that would be known as a Mallomar here in the States - this recipe quickly came to mind. And you can find that Schokokuss recipe here. As for the book, it's highly recommended. Once you've satisfied your chocolate craving with the Oreos (and several different takes on the Cream Filling), you can continue to indulge in some Homemade Pop Tarts (also delicious). When it come to mixing, most Cookie recipes follow the Creaming Method: soft but solid Butter is beat with Sugar, trapping air and making the dough light and fluffy. These Oreos use the Liquid Fat Method: Butter is simply melted and stirred with the Sugar. Why the change up? The Creaming Method intentionally traps air in the dough which, when combined with chemical leaveners like Baking Soda and Baking Powder, results in a softer, leavened Cookie. But the Liquid Fat method keeps air out of the mixture - perfect for the characteristic, dense and crumbly texture of an Oreo. Make sense? Then get started by gently melting the Butter over medium heat and then whisking in the Sugar until the ingredients are well combined. Set the mixture aside to cool. Next, heat the Chocolate over a double boiler until it is just melted. Chocolate requires very little heat to melt, so keep the temperature low. 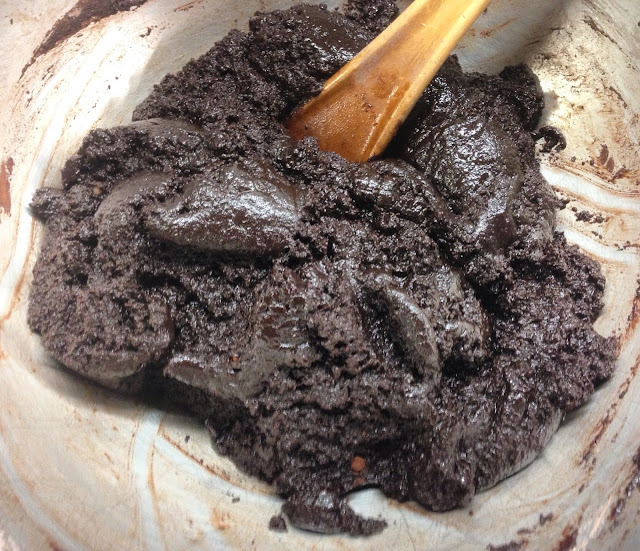 Slowly stream the melted Chocolate into the Butter and Sugar mixture while whisking. 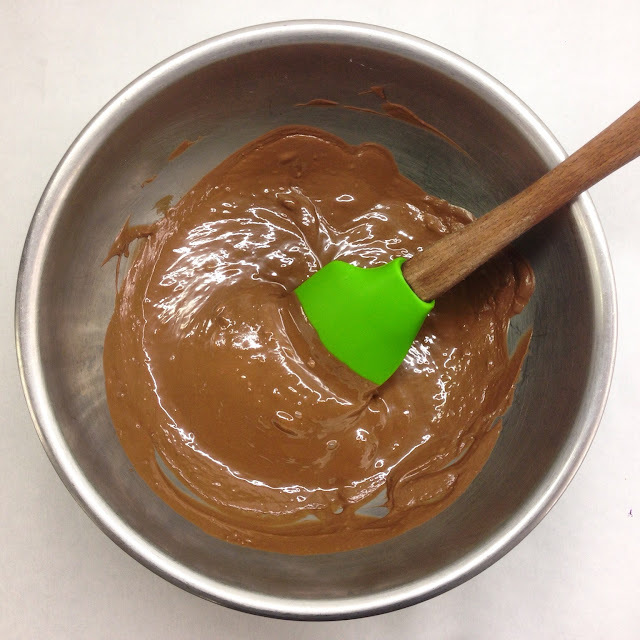 Continue whisking gently in one direction, being careful not to beat air into the mixture. 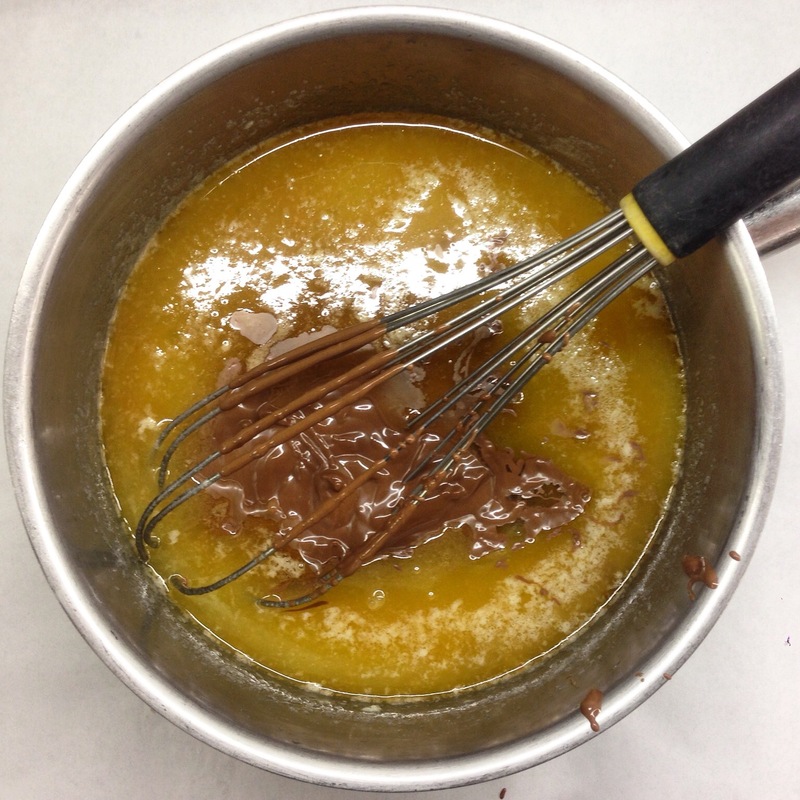 Mix until the Butter and Chocolate are fully combined and homogeneous. Before you add the Egg, make sure that the Butter and Chocolate mixture is not hot (warm is okay, but "hot" will cook the Egg). 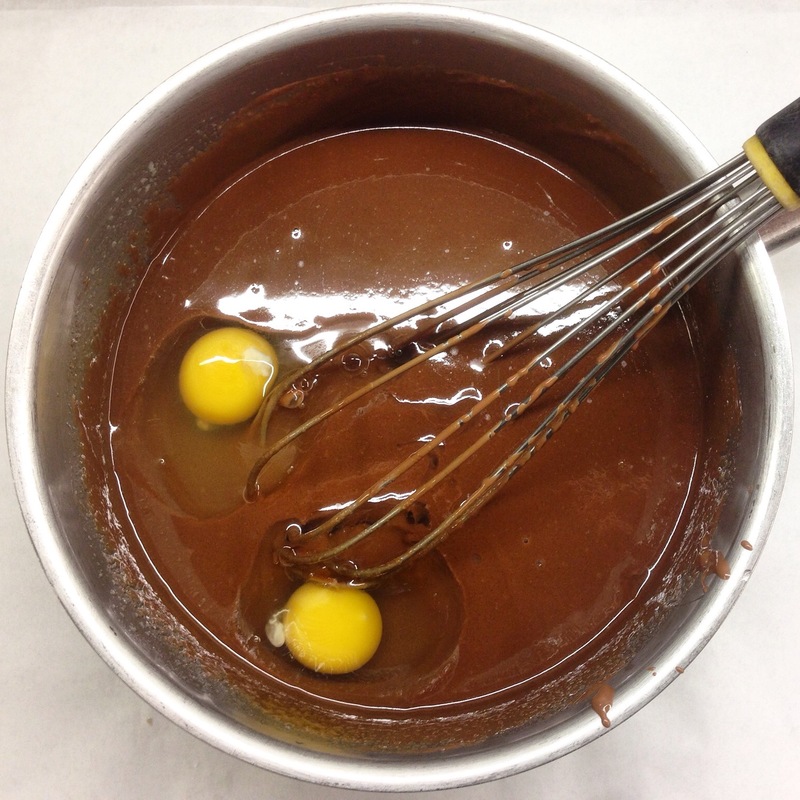 If the Butter and Chocolate mixture is cool enough, add the Egg and whisk until fully incorporated. In a separate bowl, combine the Flour, Cocoa Powder, Salt and Baking Soda, gently whisking until they are evenly distributed. Cocoa Powder is notorious for clumping, particularly if it has been sitting on the shelf, so consider sifting the ingredients. 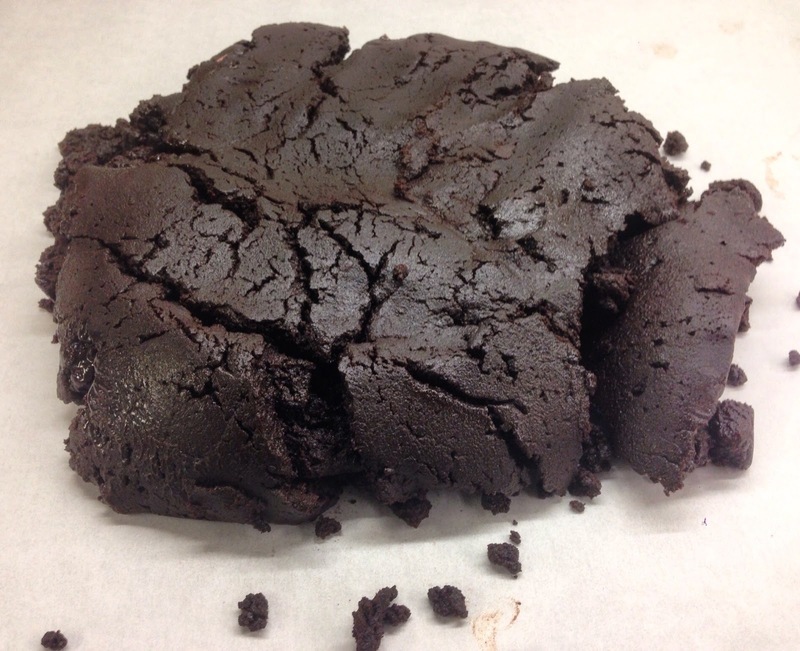 This recipe calls for Dutch-Processed Cocoa Powder: Cocoa Powder that has been stripped of its natural acid content. Usually the acid in Cocoa Powder will activate the leavening power of Baking Soda. Dutch-Processed Cocoa Powder will not. 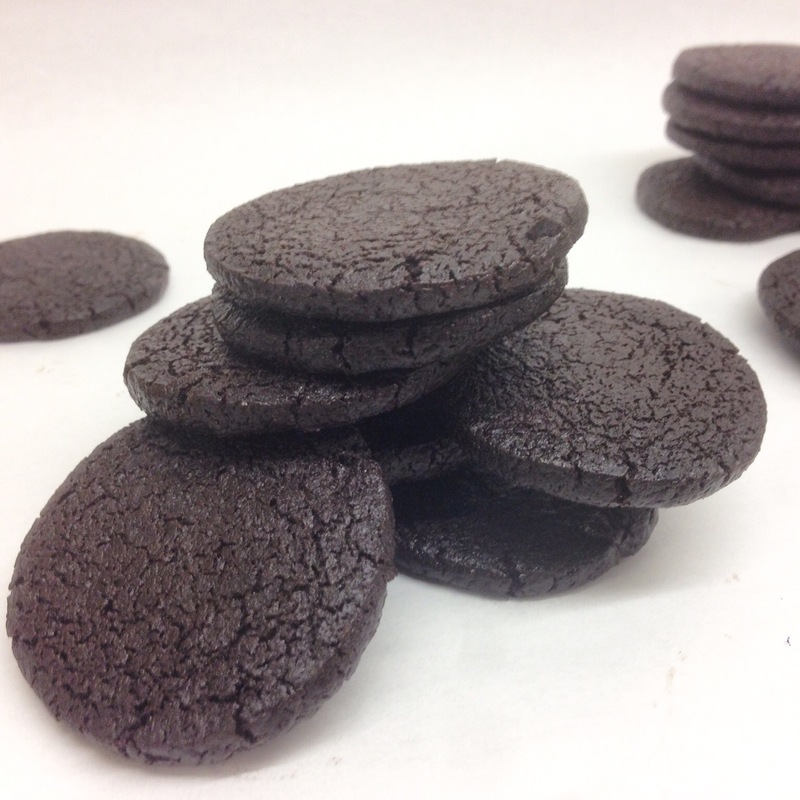 For these Oreos, that means a denser, crumbly crumb - perfect! Using a wooden spoon or spatula, stir the dry ingredients into the Chocolate mixture. Continue stirring and folding dough until the ingredients are fully combined. Set the dough aside to rest for an hour at room temperature. The fully mixed and rested dough will be extremely thick and somewhat crumbly. Press the rested dough between two pieces of parchment and roll the dough into a single sheet measuring approximately 18"x13" and roughly 1/4" thick. Place the sheet of dough in the refrigerator to rest and chill overnight (or at least two hours). If well wrapped, the dough can be kept in the refrigerator for a week or in the freezer for up to a month. Using a round cookie cutter, cut individual Cookies from the sheet of dough. An actual Oreo is 1.75" wide (I measured), but you can use any sized cutter you would like. Bake the Cookies at 350 degrees Fahrenheit (177 degrees Celsius) for approximately 17-20 minutes. The larger the Cookies, the longer the baking time (science!). The finished Cookies will be firm to touch even in the hot oven. There will be no visible browning given the dark color of the dough. The Cookies will keep well for up to a week in an airtight container. The Cookies can be frozen for several months. 1. Gently melt the Butter over medium heat. Remove the Butter from the heat and whisk in the Sugar until well combined. Set the Butter and Sugar mixture aside to cool. 2. 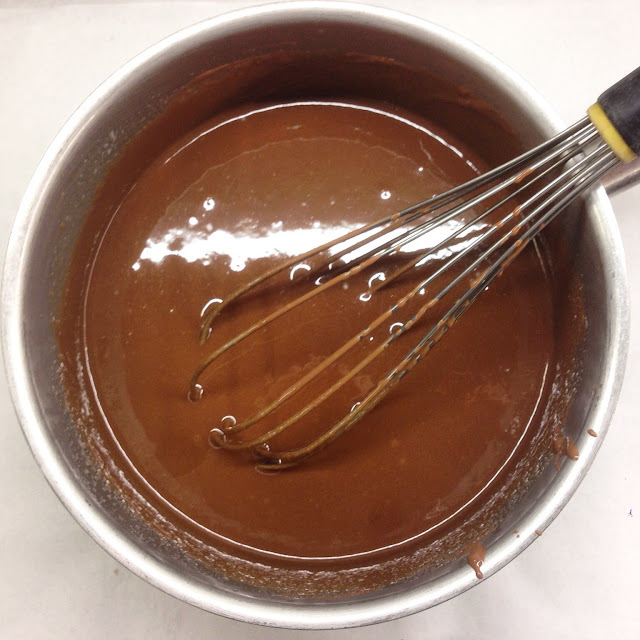 As the Butter and Sugar mixture cools, gently heat the Chocolate over a double boiler until just melted. Remove the Chocolate from the heat and stir in the Vanilla Extract until well combined. 3. Slowly stream the melted Chocolate into the Butter and Sugar mixture while whisking. 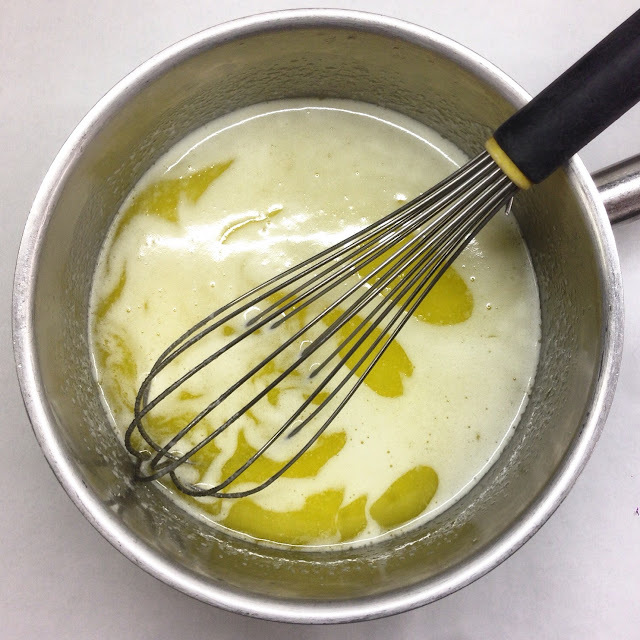 When the ingredients are fully combined, add the Egg and whisk until fully incorporated. 4. 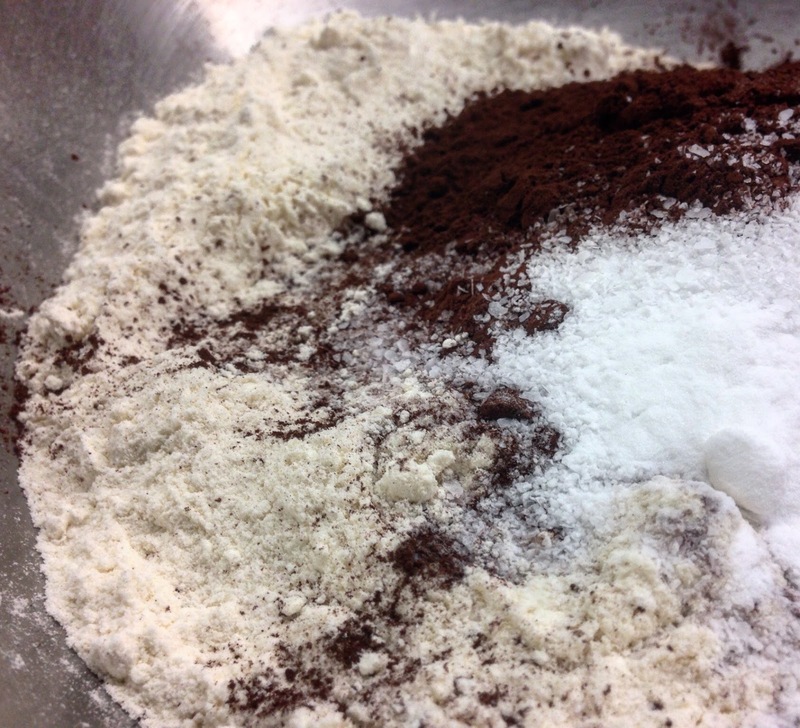 In a separate bowl, combine the Flour, Cocoa Powder, Salt and Baking Soda. Gently whisk the dry ingredients so that they are evenly distributed. 5. 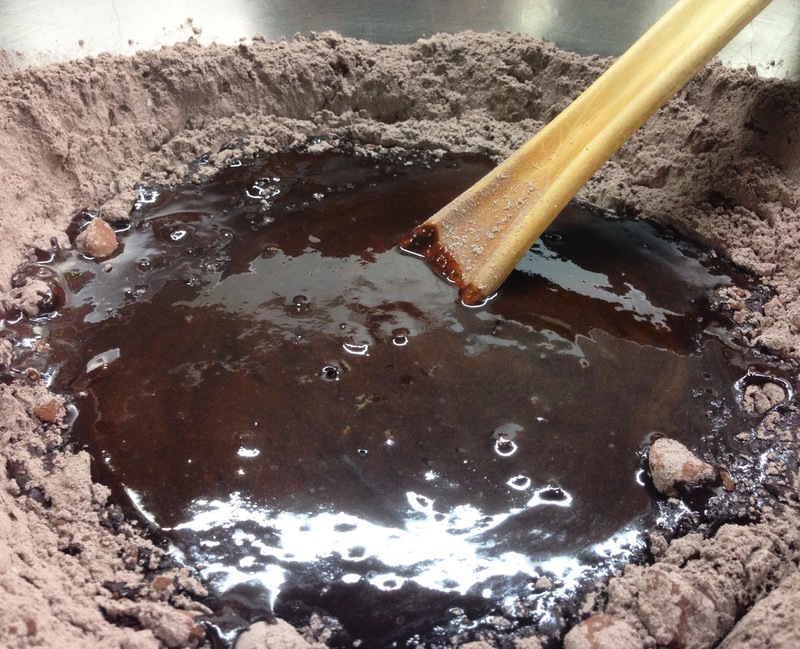 Using a wooden spoon or spatula, stir the dry ingredients into the Chocolate mixture. Continue stirring and folding until the ingredients are fully combined. Set the dough aside to rest for an hour at room temperature. 6. 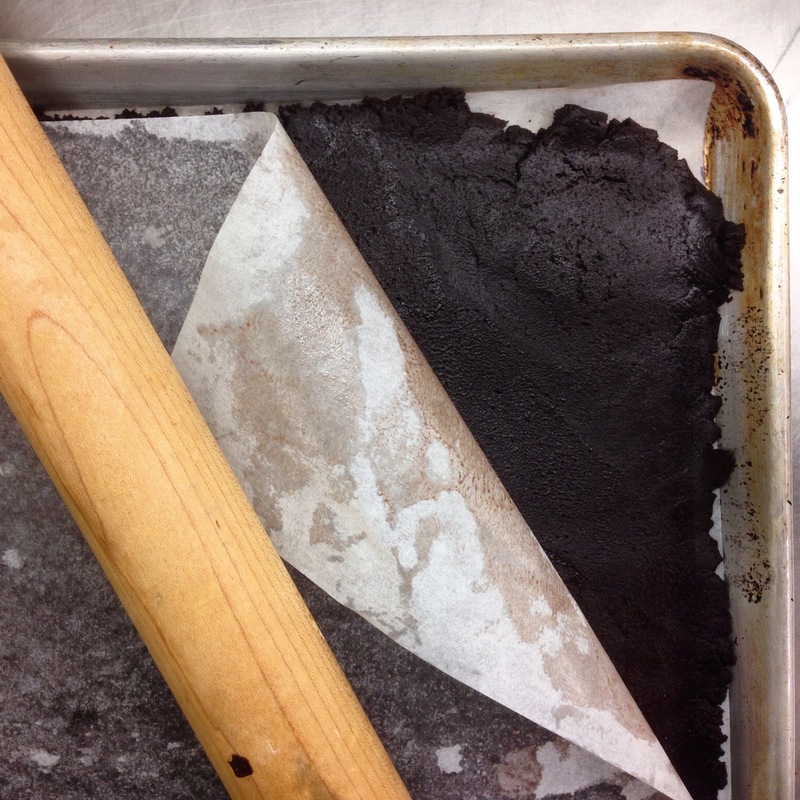 Press the rested dough between two pieces of parchment and roll the dough into a single sheet measuring approximately 18"x13" (half sheet tray) and roughly 1/4" thick. Place the sheet of dough in the refrigerator the rest and chill overnight. Chef's Note: The unbaked dough can be kept in the refrigerator for a week or frozen for a month. 7. 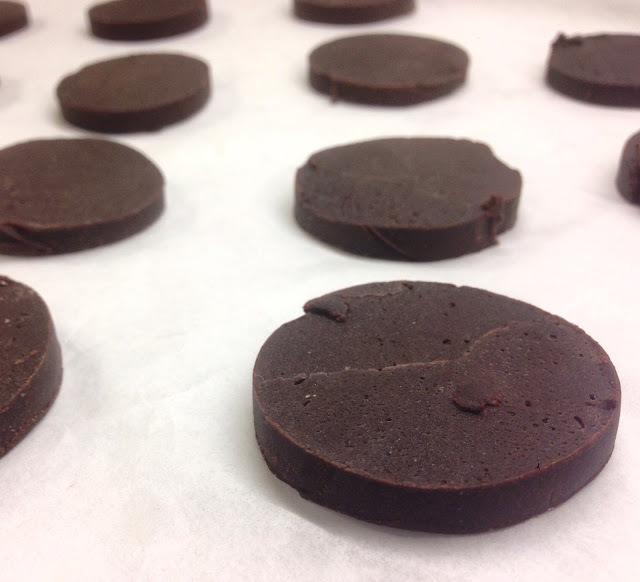 Using a 2" round cutter, punch 36 Cookies from the sheet of dough. Place the individual Cookies on a parchment lined sheet tray for baking. The scrap dough can be rerolled and punched a second time for additional Cookies - approximately 12 more. Chef's Note: The scrap dough should only be rerolled once. Additional rerolling will develop too much gluten and make for tough Cookies. 8. Bake the Cookies at 350 degrees Fahrenheit (177 degrees Celsius) for 17-20 minutes. The finished Cookies will be firm to touch even in the hot oven. - The Cookies will keep well for up to a week in an airtight container. The Cookies can be frozen for several months. the recipe calls for one egg but the picture shows two eggs. I was working on a double batch when I was photographing. But good catch!